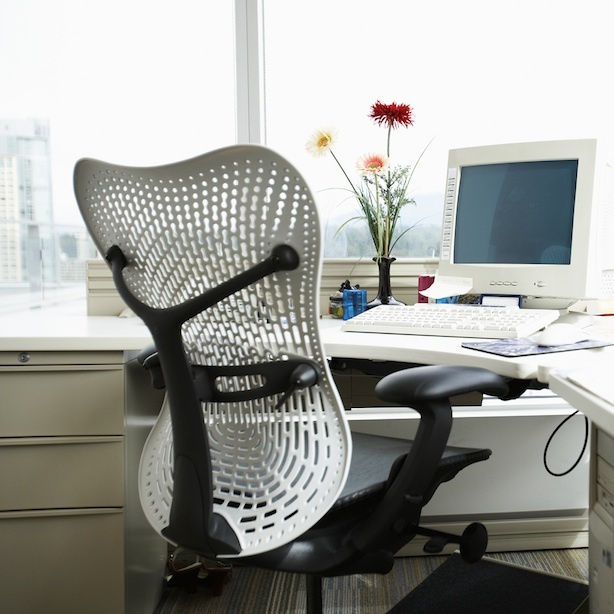 One of our reviewers is a keen gardener so he jumped at the chance to try out a gadget he could use to get organised in both home office and garden! The Brother GLH105VP Handheld Garden Labeller is a hand-held labelling device. It prints custom labels onto a laminated tape that has a removable self-adhesive backing so that they can be fixed to just about anything. It offers a range of different fonts, typefaces and sizes as well as other characters, symbols and other customisable features for the labels you’re printing. Although this is called a garden labeller it is suitable for just about any labelling function, including notebooks, files, storage containers. In fact just about anything that you might want to easily identify or know at a glance what’s inside. The machine fits comfortably into my hand, although if you have small hands you might want to place on a work surface to use. It is a stable bit of kit when placed on a surface and doesn’t rock about when you press the buttons. The labeller looks the part. It has clear and easy to read buttons, including a full A-Z layout keyboard and numbers 0-1. Also other buttons to access the menu functions, special character sets and symbols, as well as printing and power buttons. The buttons are a nice size so there’s no problem with tapping two together, if like me, you have sausage fingers. There is also a tape cutter to allow you to easily separate your printed label from the machine. So no worries about having to tear off the label, only to find you’ve also torn it in half! With batteries, the machine weighs in at just under 500g, so it’s comfortable to use if you have a lot of labels to produce. The carry-case it comes in feels like a bit of overkill, but as technically this is a garden labeller, it’s nice to have something robust that would survive being taken outdoors or into a garden shed. The labels themselves are easy to read (see the sample under the label in the photo) and with a number of different typeface, special characters etc, it’s easy to find what you want. The Brother GLH105VP Handheld Garden Labeller comes with a comprehensive set of instructions, which includes flow-charts of button sequences, for different functions. It folds down to a pocket size leaflet, so could easily be taken with the labeller on the first few uses before printing becomes second nature. There are no complicated reels or spindles to insert the label tape. It comes in a pre-wound cassette (a bit like a typewriter ribbon), that you simply remove from the packaging and slot into the back of the machine. It will only go in one-way, so no problem with getting it in place correctly. It takes moments to print your first label, and the interface is pretty intuitive, with a screen that enables you to see the current bit of the label that you’re printing. The impressive case contains the labeller, instructions / warranty details, a mains power adapter and a label cassette. As stated it’s supplied with a mains adapter, but it will also run on 6x AAA batteries. These aren’t supplied, but it means you have true portability once they are inserted. 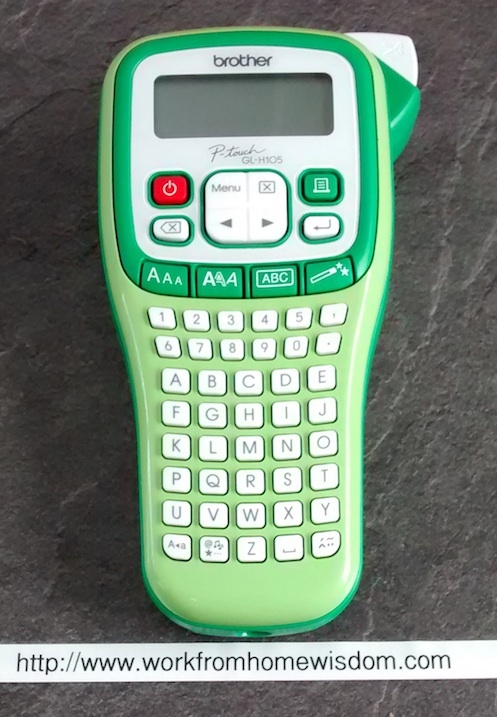 My only criticism of the Brother GLH105VP Handheld Garden Labeller is it does feel a bit “plasticy”, and I do wonder if dropped on to a hard surface whether the casing would break (obviously I didn’t test this for the review). As a garden labeller there is a chance of being in an environment where this might happen, so I think a slightly more robust cover might be better. But as mentioned above, it does come in a tough carry-case, so that does make up for it. It produces clear and easy to read labels that don’t rub off or smudge. For the duration of the review, I’ve had no problem with the labels fading. (And I have left some in direct sunlight for extended periods of time without noticing any depreciation in the quality of the label). If you’re someone who has a lot of files or is constantly writing things on containers or packets, then I would recommend investing in the Brother GLH105VP Handheld Garden Labeller. It’s reasonably priced at about £40, and replacement tape cassettes also seem reasonably priced from a quick search on the internet to compare prices. It produces clear and easy to read labels, without having to worry about confusion caused by illegible handwriting. Anyone, home worker, small business owner, gardener or otherwise, who needs clear, long-lasting labels. Buy your own Brother GLH105VP Handheld Garden Labeller. With thanks to ebuyer.com for supplying a sample Brother GLH105VP Handheld Garden Labeller for our reviewer to try.